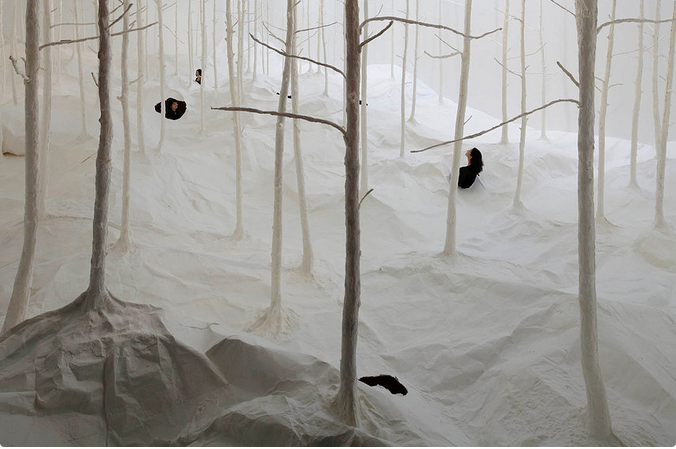 Here's an exhibition I wish I could experience: a handmade paper forest that can be viewed from above or by standing underneath and poking your head through holes in the forest floor. I’m in Sapporo this week exploring the 2014 Sapporo International Art Festival. The theme of this year’s city-wide art show is “Nature and City” and is curated by the great Ryuichi Sakamoto. I’m documenting a few of my favorite installations. The art festival runs from July 19 – September 28, 2014. 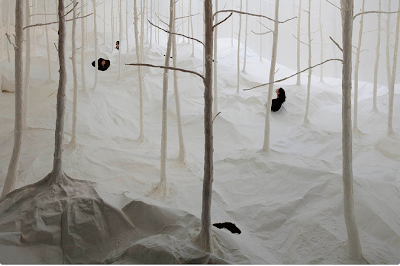 Japanese artist Takashi Kuribayashi staged his paper installation “Wald aus Wald,” German for Forest from Forest. The installation, which features a single room ensconced in a white forest made from washi paper, has traveled to museums around the world: Tokyo (in 2010), Singapore (in 2011) and, most recently, Germany (in 2013). 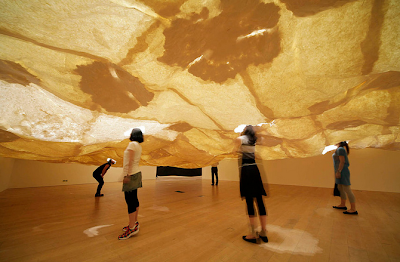 But it has now returned to Japan where it’s on display at the Sapporo Art Museum. 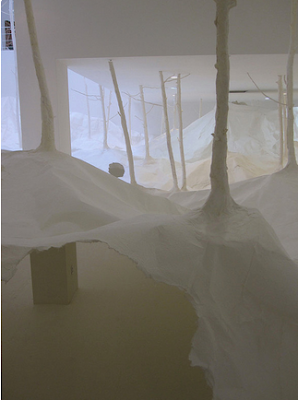 These photos, taken from the artist’s website, are from previous installations. Thank you to India Flint for sharing this on facebook.